Vauxhall is the only car manufacturer in the UK that can rival the enormity of Ford. With models such as the Vauxhall Insignia Grand Sport 1.6 Turbo D proving to be an attractive option, the manufacturing giant continues to dominate our roads. Better options to insure cheaper insurance costs ! For new drivers, this particular car brand is attractive as many models: Vauxhall Adam Hatchback, Vauxhall Corsa and the Vauxhall Viva to name but a few, are frequently named as a cheaper option regarding insurance. These Vauxhall models are popular amongst young adults. However, choosing a Vauxhall model will only save new drivers so much when it comes to insurance premiums. New drivers can be seen as a high-risk option by insurance companies. There is more scope for road accidents to happen due to inexperience and they can also be the perfect target for theft. New drivers are often blind to potential risk; they avoid busy car parks to escape the dreaded parallel park, opting for a quiet side road instead. And they are so relieved when they safely arrive at their destination they forget to do the basics, such as hiding their valuables or locking the car door. Tracking is the perfect solution to monitor new drivers ? A GPS tracking device is the perfect solution for new drivers. The Phantom iTracking device allows drivers to keep an eye on their vehicle 24 hours a day via an app. Installing this kind of technology will ensure that new drivers do not fall victim to car theft. It will also help to bring down insurance costs. New drivers are not the only ones who would benefit from installing a GPS tracking device. Anyone can fall victim to this type of crime. In fact, a thief could drive away with your Vauxhall Astra without gaining any access to your car keys at all. 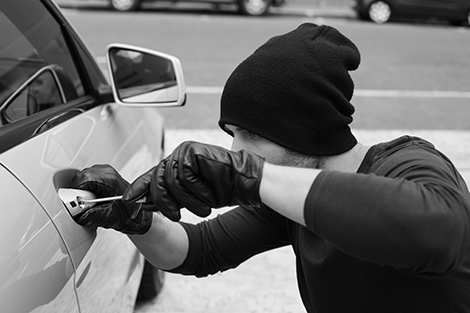 Keyless car theft continues to be a headache for even the most popular car manufacturers ! Nowadays, thieves are tech savvy and can bypass central locking by hacking the on-board computing system. This type of theft is usually linked to organised crime. Cars that are stolen are usually exported and sold abroad. Whilst there is little you can do to fully protect yourself against keyless car theft, installing an iTracking system will increase the chances of recovering a stolen vehicle. The extent to which you protect your vehicle using a GPS tracking device is completely up to you. There are many different options available. However, by using this kind of technology, you will be instantly alerted if your Vauxhall Mokka is suspiciously started and moved without your consent. A basic tracking system will also mean that in the wake of a theft, the relevant authorities will be able to locate your car much more quickly. This minimises the chance of your car being shipped abroad. With over 6000 keyless car thefts occurring in London alone, it’s time to wise up to this new type of vehicle crime. Gone are the days when the older car models were most at risk. Police believe that all car manufacturers and models are at risk, as technology is easily adapted. So, if you’re a proud new owner of a Vauxhall car, whether that be the Insignia Grand Sport or the Zafira Tourer, make sure that you invest in keeping your vehicle firmly on your driveway. Talk to Phantom about a tracking system on 0161 4764050 today.